As mentioned and translate in the matrix the idea to verify and assumption as quick as possible that is for the cheapest cost. The matrix is valid for one identified item and as mentioned the highest disaster in project are due to systemic effect. Based on this the planning method should be adapted to the level of assumptions. An oprating plan will be disastrous for an innivation but an discovery learning plan will help to monitor the unknown. 1. 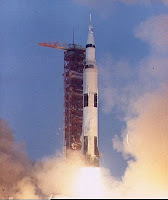 Apollo 13 explosion is technically not a Black Swan. Because a Black Swan event should be "unexpected". Ken Cox and the people he convinced visualized such a possibility and prepared for it. Nassim Taleb calls such an event Grey Swan - rare, high impact but not unexpected. In this video, Scott Cook from Intuit presents how they try to move idea selection away from "Politics and PowerPoint" to "Leadership by experimentation" or more precisely "Decisions by hypothesis validation". Cook says that an important role of a leader is to create an environment where experiments can happen at low-cost and at high speed. 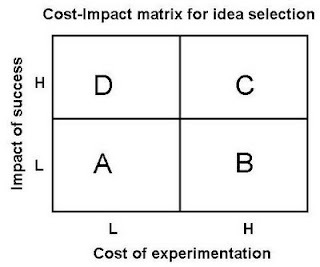 And then, as much as possible, run experiments to validate assumptions embedded in ideas. He says he is surprised as to on how many ideas you can run experiments. In case you want to jump directly to his "Leadership by experimentation" piece in the video go to 6:40.